If you're an instructor or a studio owner looking for teaching or marketing resources, welcome! I'd like to help you keep yourself organized, your teaching methods engaging, and your marketing plan sizzling. You need to teach effective, progressive classes so your students learn safely. You also need to make it fun so they'll keep coming back. And you need to keep your material and your teaching methods fresh so you and your students don't get bored! In addition, if you're self-employed as a pole dance teacher, or if you own a studio or a pole dancing party business, you're probably always on the look out for new marketing ideas to keep your services in front of your target market in new and creative ways. This section of Pole Dancing For Fitness is all about YOU! As a retired fitness instructor and studio owner with 30 years of business and teaching experience, I've gathered a few tips and resources over the years. I'd like to share them with you here, to help make your job or your business venture more fun, and more profitable. I include tried and true resources I've used myself, as well as new ideas and innovations that I discover. Whether you're an experienced instructor, just starting out, or perhaps at the "thinking about it" phase, you can get help with your teaching related questions here. Resource #2 - Awesome Promo Tool! Here's a nifty little marketing idea I came across recently. If you're looking for a fun and unique way to promote your studio or pole party company, check out these custom temporary tattoos. Temporary tattoos using your studio or business logo are a very affordable way to help brand your studio, and they're lots of fun too! If you're attending a trade show to promote your studio you could offer to apply free tattoos to the people who visit your booth. They're fast and easy to apply using only water. Of course, your instructors and staff will be sporting them too! If you have a pole party company and you give out goody bags to the guests, include one of your logo tattoos in each bag. It's a fun memento for the guests, and free promo for you! If you don't do goody bags at your parties, just have the guests apply one to each other's bodies just before the party gets underway. It's a great ice breaker and warm up activity. When your studio celebrates a special occasion such as an anniversary, or when you hold special events, fundraisers or charity functions, set up a table where the guests can have a temporary tattoo applied. They'll love feeling like part of the "exclusive tattoo club!" 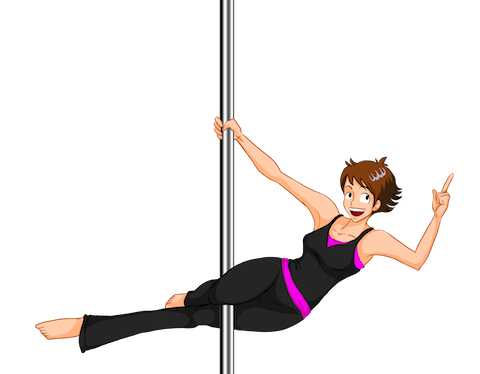 Do you mark students' progression through your different levels of pole dancing with a "graduation ceremony?" If so, you could have someone apply a tattoo to each graduate while they receive their diploma, or after they perform their routine for the class. It will cost you next to nothing to make them feel extra special. This great little software application can help make life easier for pole dance teachers by helping you keep your music organized. If you're like most of us nowadays, you use iTunes to organize and store your music, and/or you bring an iPod to class with your play lists on it. These tools are great, but it's easy for things to get a bit out of hand. end up with duplicate songs and wonder which version is the "right" one? get irritated by misspelled or incorrect song titles, but don't have time to fix them? wish you had complete information on each song, such as artist, genre, and year? want your music to look pretty, but don't have time to bother downloading album images? Rinse to the rescue! This nifty little application is available as a free download so you can try it out and see how it works at no cost. What I like about this software is that it's fast, it's easy to use (no typing required! ), and you can try it for free to see if you like it. If you decide to purchase it after trying the free version, there are no ongoing access subscription or access fees. Just a reasonable, one-time payment and you own it. After that, you can keep your music library clean and organized forever! Click here to try the free version and get your music organized! Helping your new students feel welcome and at home in your studio is an important first step to gaining repeat business and referrals. I've put together these free tips to help you with the process of making new students feel comfortable at your studio. And if you're a new studio owner on a tight budget, you'll be happy to know that each of these actionable tips is either free or very inexpensive to implement. 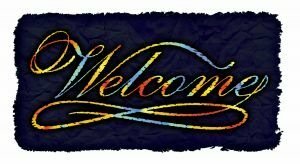 Click to read these free tips on how to help new students feel welcome. In this article, I offer you three tips to become a better pole dance teacher. Not that I think you're desperately in need of improvement mind you! It's just that as teachers, we can get so wrapped up in our subject matter and in the skill set of "doing," rather than teaching. Every now and then it can be helpful to take a step back and see if there are things we'd like to change or perhaps things we could do better. If you're looking for new teaching staff but keep coming up empty handed, here are some tips on where to find potential instructors. You'll also learn how to properly assess your studio's needs, so that you hire an instructor with the proper skill set to complement your existing staff's assets.